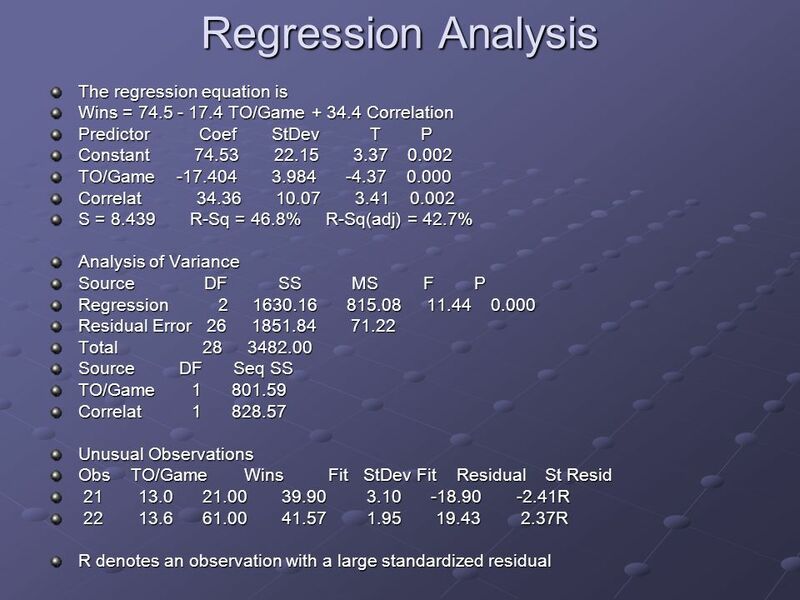 Winning at Basketball Darren Bloomingdale Michelle Bomer Peter Martin Josh Patsey Matt Mason. 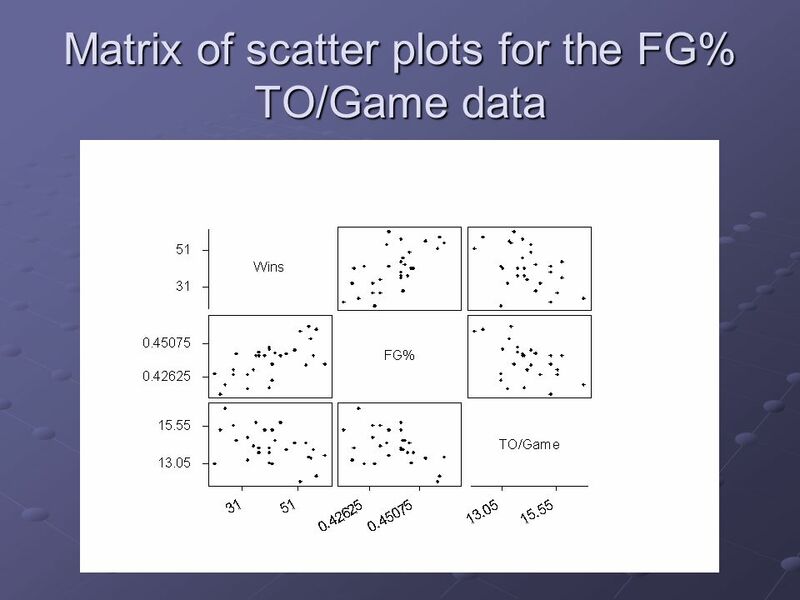 2 The Problem… Does Field Goal percentage and average turnovers per game effect the number of games won during a single season? 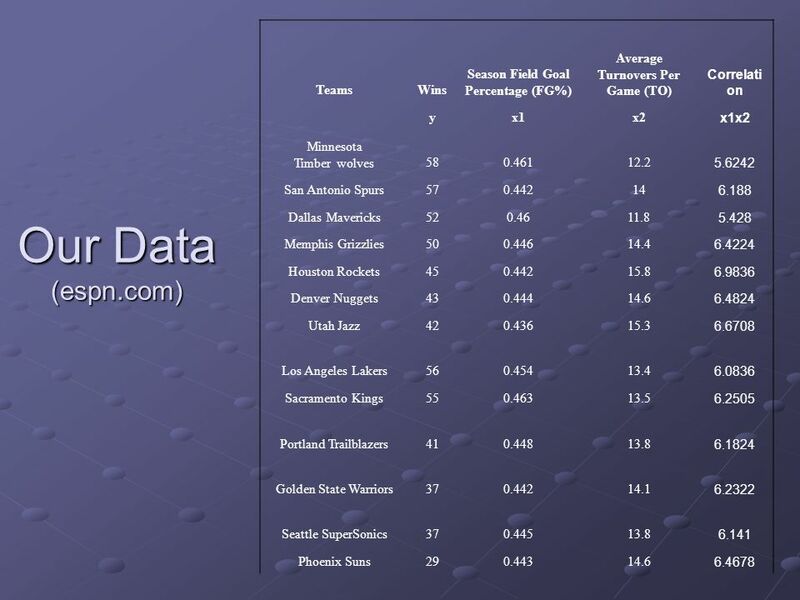 Thought it was interesting because the Suns are for sale. 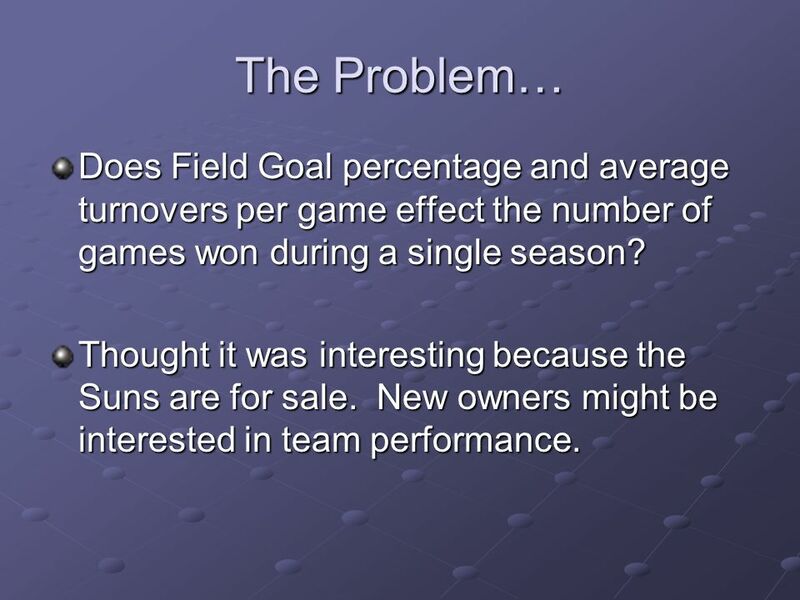 New owners might be interested in team performance. 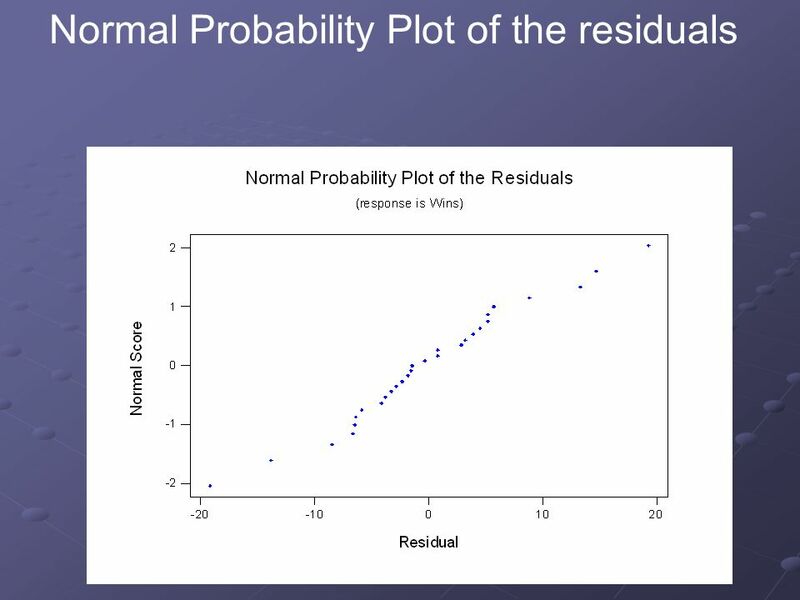 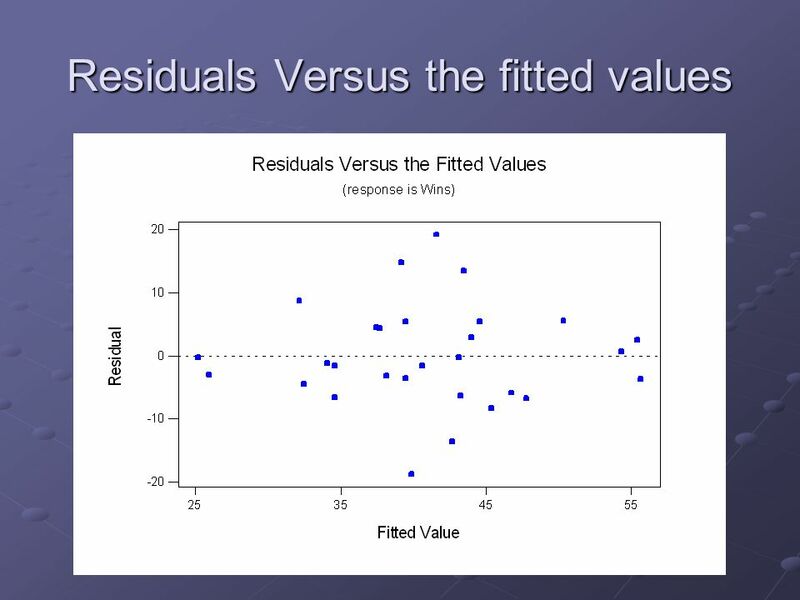 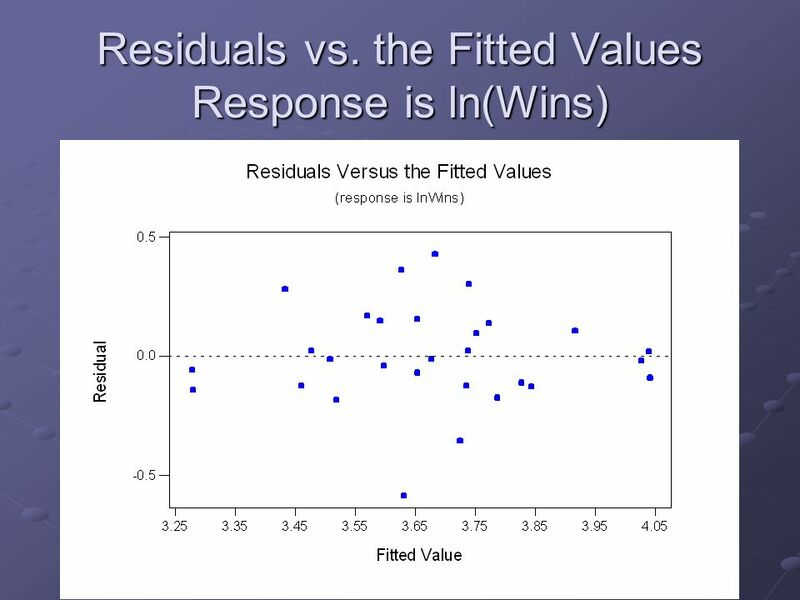 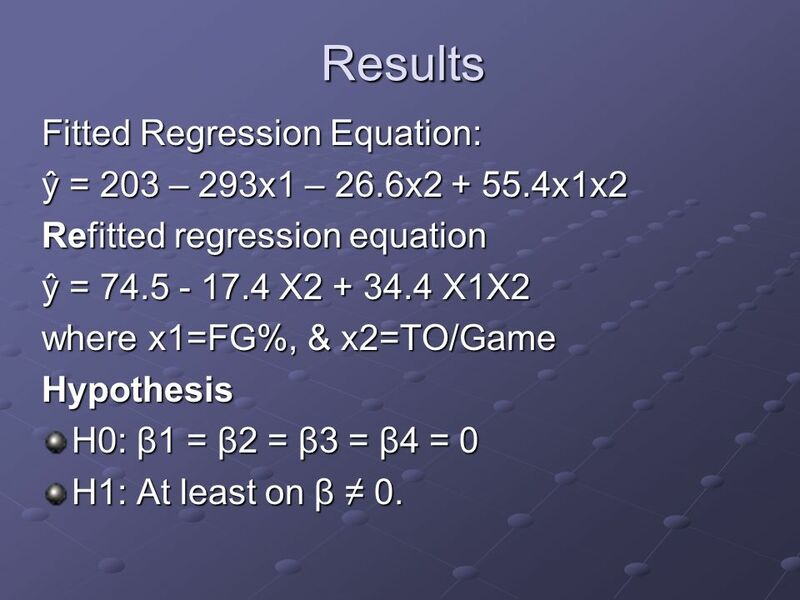 4 Results Fitted Regression Equation: ŷ = 203 – 293x1 – 26.6x2 + 55.4x1x2 Refitted regression equation ŷ = 74.5 - 17.4 X2 + 34.4 X1X2 where x1=FG%, & x2=TO/Game Hypothesis H0: β1 = β2 = β3 = β4 = 0 H1: At least on β 0. 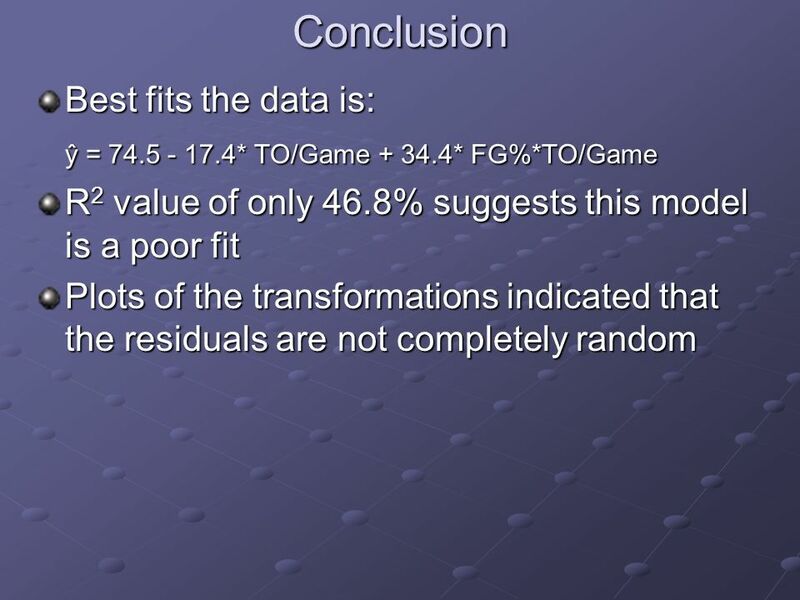 11 To answer the question… Yes - field goal percentage and the average number of turnovers per game, during a season, have an effect on the number of games a team wins that season, however additional factors and possibly correlations are necessary to model the data well enough to make future predictions. 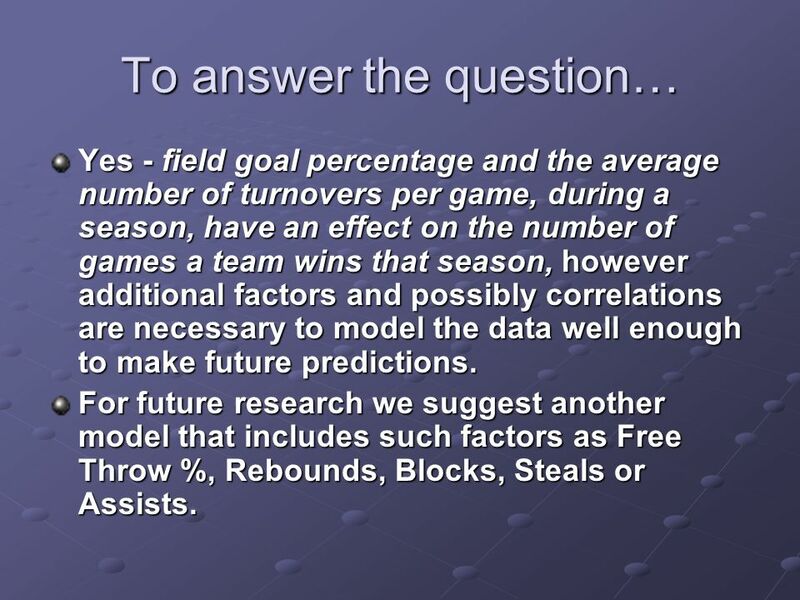 For future research we suggest another model that includes such factors as Free Throw %, Rebounds, Blocks, Steals or Assists. 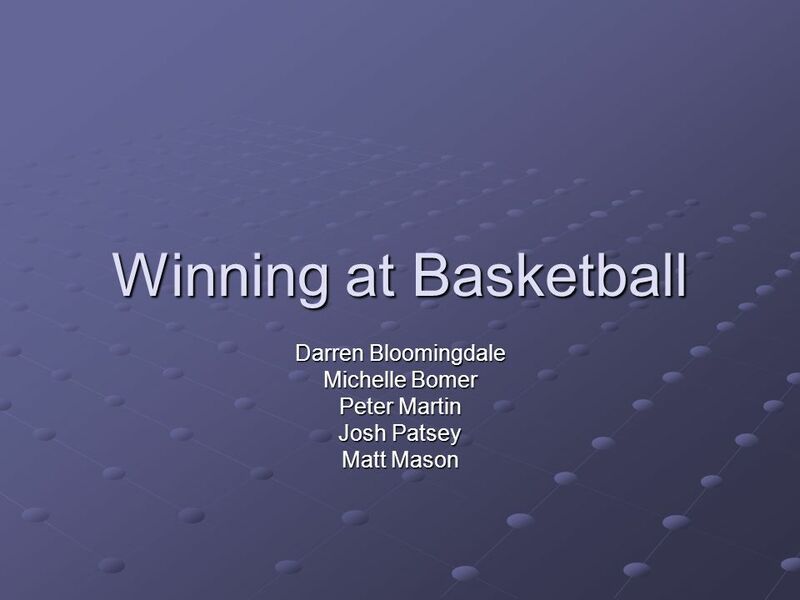 Download ppt "Winning at Basketball Darren Bloomingdale Michelle Bomer Peter Martin Josh Patsey Matt Mason."